Cpl. 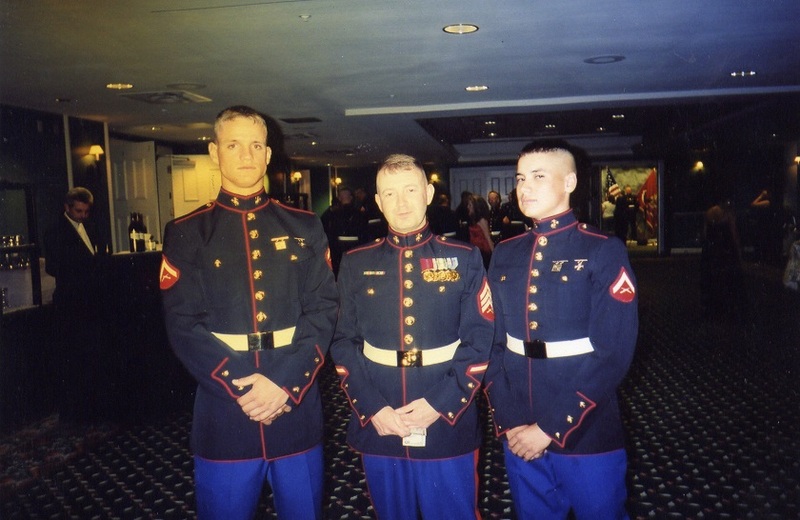 Dunham graduated from high school in 2000 and entered Marine Corps Recruit Training. He was chosen to become a squad leader with Kilo Company, Third Battalion, Seventh Marine Regiment in September 2003. 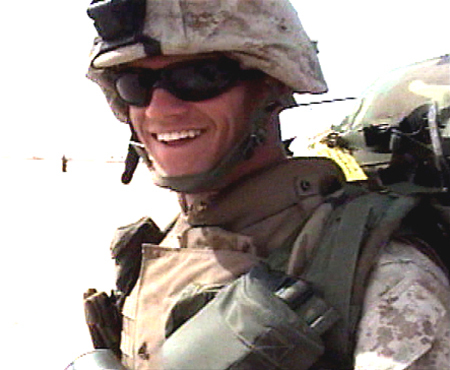 He was deployed to Iraq in early 2004 with the First Marine Expeditionary Force. His unit was based in Al-Karabilah. Cpl. Dunham loved kids, and wanted to play soccer with the Iraqi children. His comrades-in-arms formed a security perimeter around the group so that they could all play. He wanted to continue his college education and take the New York State Police entrance exam once he returned from Iraq, but April 14th, 2004 changed everything. Cpl. Dunham and his men were on a reconnaissance mission near Husaybah, Iraq after receiving reports that insurgents had ambushed a marine convoy. The patrol, led by Cpl. Dunham, began inspecting the cars for weapons. When the squad approached a white Toyota Land Cruiser and discovered AK-47s, an insurgent jumped out and attacked him. Two other Marines ran over to subdue the attacker. During their struggle, the insurgent dropped a grenade. Cpl. 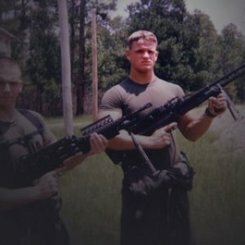 Dunham immediately alerted his fellow Marines and without hesitation, threw his helmet and body over the grenade, absorbing the brunt of the explosion and saving the lives of at least two Marines. Cpl. 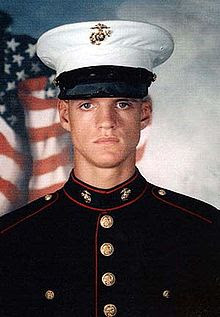 Dunham was severely wounded by the grenade blast, and was evacuated.to the National Naval Medical Center in Bethesda, Maryland where he was diagnosed with brain damage. He passed away eight days later, on April 22, 2004. Shortly beforehand, Commandant of the Marine Corps presented Dunham with the Purple Heart. He was posthumously awarded the Medal of Honor for his courageous actions in Iraq. Wow, what an amazing story. So sad, though. :') To think that someone would do something like that to save the lives of others . . . it's just so selfless. Wow. 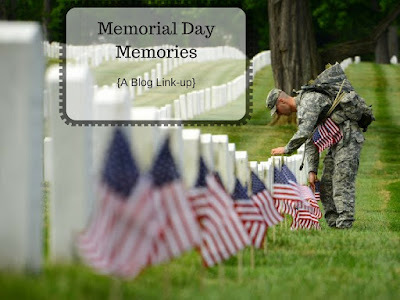 What a great idea for a blog post. I'm so grateful for Cpl. Jason Dunham's bravery and sacrifice!